Boy and Lincoln, an image by David Johnson, is among the 5,000 items in Johnson’s archive, now part of Bancroft’s collection. “THAT WAS JUST a photograph waiting for me to take it — an image that was saying to me, ‘Come over here, come over here!’” David Johnson recalls. 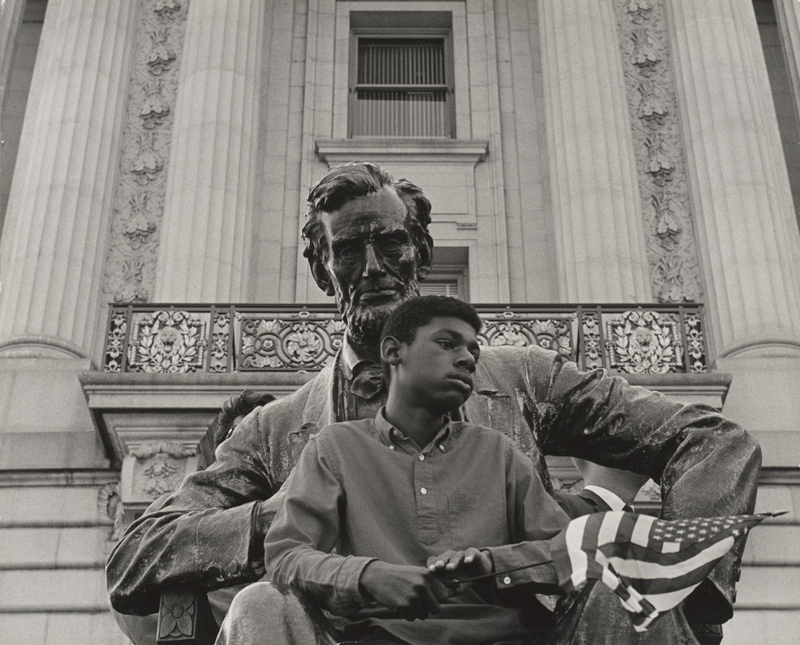 Made in 1963 — at the height of the civil rights movement — the photo shows an African American boy, under soft natural light, holding an American flag in the lap of the Abraham Lincoln statue outside of City Hall during an NAACP-sponsored demonstration in downtown San Francisco. The photograph, called Boy and Lincoln, is one of Johnson’s most iconic works. 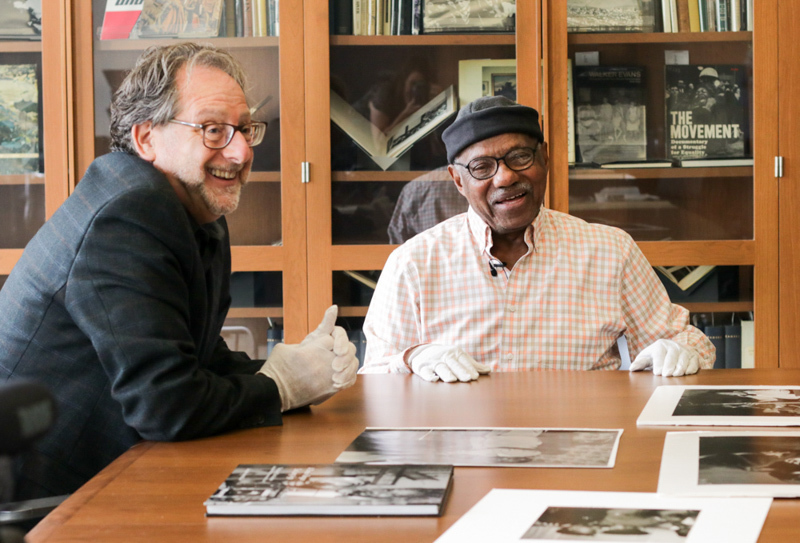 “I think this is one of the best pictures of civil rights that I’ve ever seen,” says Jack von Euw, curator of the pictorial collection at The Bancroft Library. “It’s almost like the gods set it up for me,” says Johnson, now 91. In November, von Euw sat down with Johnson for an on-camera conversation about his work, his life, and the stories behind some of his most memorable photographs. What was it like talking with Johnson and hearing stories about his life and photography?